(CNN)— At least 49 people were killed and more than 20 seriously injured in a terror attack on two mosques in Christchurch, New Zealand, on Friday. The unprecedented mass shootings were carefully planned, and have shocked the usually peaceful nation New Zealand Prime Minister Jacinda Ardern described the attack as one of her country’s “darkest days.” She said that the suspects held “extremist views” that have no place in New Zealand or anywhere else in the world. An Australian citizen in his late 20s has been charged with murder in connection with the attacks. Two other people were arrested in the immediate aftermath of the shootings. Here’s what we know so far. 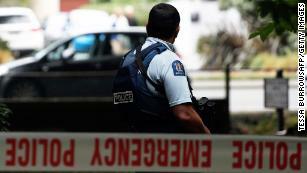 A gunman targeted two mosques in central Christchurch at lunchtime Friday local time. Friday is the busiest day for many mosques around the world. The first and most deadly shooting took place just after 1:30 pm at al Noor mosque.A graphic video which streamed live on social media for about 17 minutes purports to show a portion of the attack: In it, a man is seen driving through the streets of Christchurch before arriving at the mosque and eventually opening fire. The horrific attack on al Noor Mosque, including the time where shooter returns to the car to re-arm, lasts approximately six minutes. As the shooter drove away from al Noor mosque, he opened fire on several people who were walking along the street, the video appears to show. Social media sites such as Facebook, YouTube and Twitter struggled to halt the spread of the footage, raising new questions about the companies’ ability to manage harmful content on their platforms. Shortly after the livestream ended, a second attack took place at Linwood mosque. At least seven people were killed there and another died later at the hospital.A number of weapons were recovered at both locations. Ardern said improvised explosive devices were also found at the scene. Brenton Tarrant, 28, has been charged with murder in connection to the unprecedented attack on the two mosques. 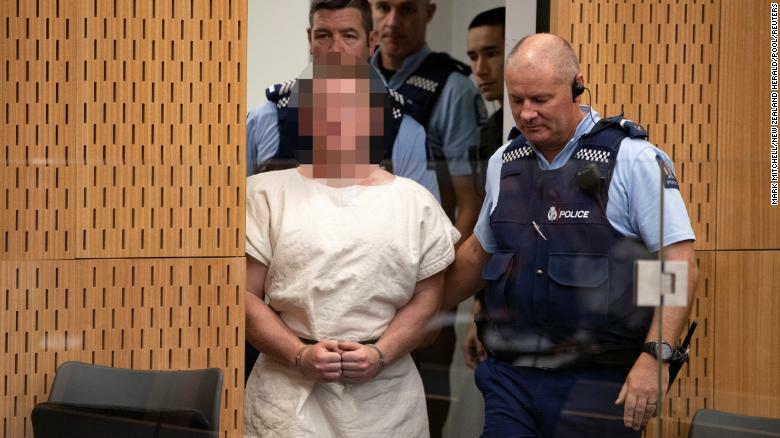 Mass shooting suspect charged with murder in New ZealandHe appeared in Christchurch district court on Saturday. During his brief appearance, Tarrant was handcuffed and accompanied by three officers armed with tasers. He was silent during his court appearance and has been remanded in custody to reappear in court on April 5.Just before the shootings, a link to an 87-page manifesto on Twitter and 8chan, an online messaging board that has been used by anonymous accounts to share extremist messages and cheer on mass shooters, was posted to an account in Tarrant’s nameThe manifesto is unsigned. Its author claims to be a 28-year-old white man, born in Australia. It is filled with anti-immigrant and anti-Muslim sentiments, as well as explanations for an attack. Brenton Tarrant appears in the Christchurch District Court. New Zealand requires that his face is pixelated.Tarrant has traveled around the world, “with sporadic periods of time spent in New Zealand,” Ardern said in a press conference. She added that he was based in Dunedin, New Zealand at the time of the attack.She told reporters that none of the people who had been arrested, including Tarrant, had been on any watch lists. Prime Minister Ardern announced early Saturday local time that New Zealand’s gun laws would change in response to the terror attack.She said the primary perpetrator was in possession of a gun license and used five guns during the attack — including two semi-automatic weapons and two shotguns.”While work is being done as to the chain of events that lead to both the holding of this gun license and the possession of these weapons, I can tell you one thing right now. 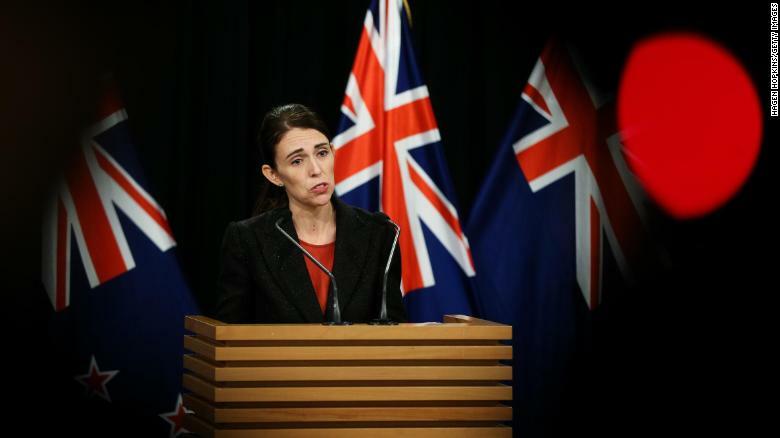 Our gun laws will change,” she said at a news conference in Wellington.Until Friday, the biggest massacre in New Zealand’s history happened nearly 30 years ago, when a man killed 13 people in a shooting rampage. Prime Minister Jacinda Ardern speaking to the media following the attack.The nation’s gun laws were eventually changed after the attack, regulating military-style semi-automatic firearms. However, New Zealand’s weapons legislation is still considered more relaxedthan most countries Western outside of the USA.While gun owners are required to have a license, they don’t need to register their guns — unlike its neighbor Australia. CNN’s Eliza Mackintosh and Gianluca Mezzofiore contributed to this story.